* Birthplace: St. Louis, Mo. * Informant: Nicholas Brocke, Kendrick, Ida. * Undertaker: John A. Pickard, Troy, Ida. * Attending Physician: D. A. Christensen, Kendrick, Idaho. 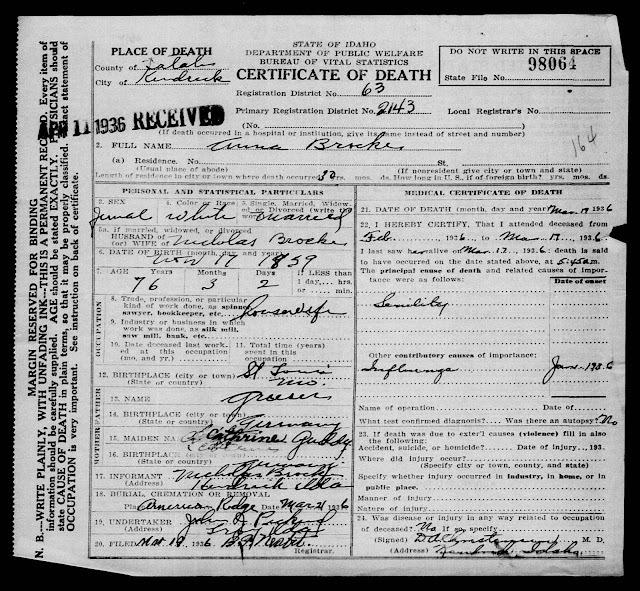 State of Idaho "Idaho Death Certificates, 1911-1937," indexed database and digitized image, MyHeritage (http://www.myheritage.com : accessed 8 April 2015), State File No. 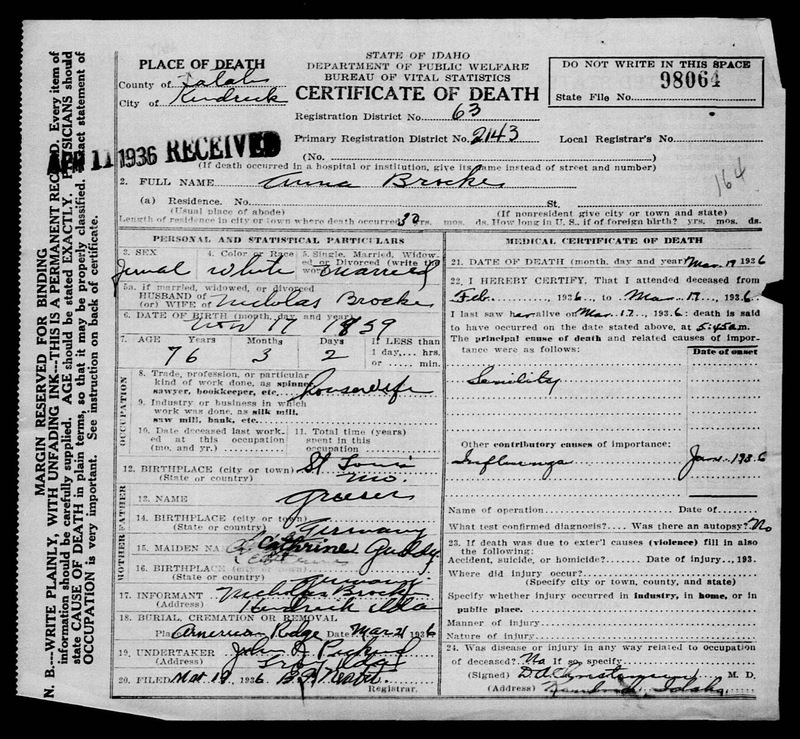 98064, Anna Brocke, died 19 March 1936; citing Department of Health and Welfare, Boise, Idaho. Anna (Grieser) Brocke (1859-1936) was the daughter of Ignatius and Catherine (Gute) Brocke, and was born in St. Louis, Missouri. She married John Nicholas Brocke (1855-1938) in 1877 in Cedar County, Nebraska. They had 8 children between 1878 and 1894, including Amelia Anna Brocke (1884-1975) who married Severt Oliver Leland (1878-1940) in 1904. John Nicvholas and Anna (Grieser) Brocke are my wife Linda's great-grandparents.